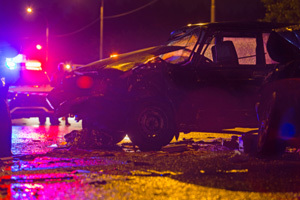 BROOKLYN, NY – According to brooklyneagle.com, statistics show an increase in car accidents in Bay Ridge and Dyker Heights leading to questions about what could be driving the higher number of collisions. After the numbers were released, Senator Andrew Gounardes, who represents the impacted neighborhoods stated that there will be a task force that will investigate the cause of the rising levels of accidents. Some locals say that the problem is that many drivers are more focused on getting where they need to go quickly than they are on being responsible and taking into account the safety of fellow members of their community. Police have also been involved in efforts to catch reckless drivers and hold them accountable. The numbers indicate that there were 3,312 car accidents in just Bay Ridge and Dyker Heights within a two-month period last summer. These neighborhoods had around 400 more crashes than the average number seen in other neighborhoods in Brooklyn. Justin Brannan, a councilmember who represents Dyker Heights, Bay Ridge and some of Bensonhurst requested a greater police presence in the area because of the high number of crashes and pedestrian incidents. Brannan also requested that the Department of Transportation implement public education and outreach programs to help remind people in the area of traffic safety rules. While many accidents are caused by the same driver errors seen all over the country, there are concerns that the configuration of the streets in the area is adding to the particularly high number of accidents. While Gounardes says that he appreciates the increased police attention, the system is in need of a full overhaul, not just some extra speed cameras.